Why doesn't Battle for Azeroth deluxe edition include any Diablo goodies? 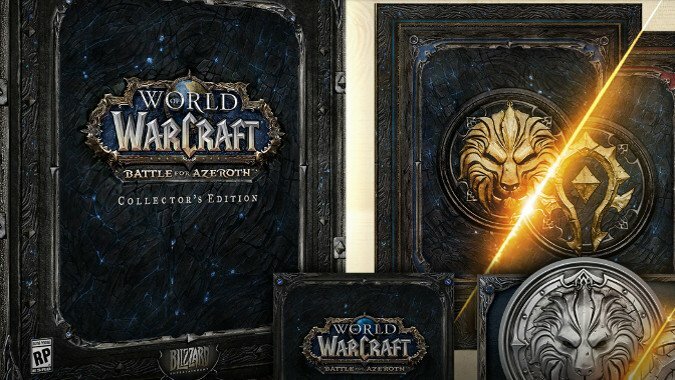 Why doesn’t Battle for Azeroth deluxe edition include any Diablo goodies? Diablo 3 launched in 2012. Since that time, there have been four expansions f0r World of Warcraft — Mists of Pandaria, Warlords of Draenor, Legion and now Battle for Azeroth. And in the case of each of those expansions, there was a collector’s edition with goodies for other Blizzard games, including Diablo 3. Mists, Warlords and Legion all had something, even if it was just a set of wings like Illidan’s or a banner and a transmog 2h hammer like Blackhand’s The Black Hand. But it definitely seems that this time around, Diablo 3 isn’t included in the games getting some Collector’s Edition swag. Neither the physical CE nor the Digital Deluxe version of the new expansion seem to include even a nod in Diablo 3’s direction. That’s an interesting change, considering that Battle for Azeroth hits Hearthstone, Heroes of the Storm, Overwatch and StarCraft 2, meaning that Diablo 3 is the only current Blizzard game not included. And since it was included in all previous expansions, and it’s not like it’s hard to stick another banner or portrait frame or set of wings into the game, the omission seems odd. Do you think we have forgotten? Now, it could be that they’ve simply forgotten or didn’t have time to come up with anything. It’s a big launch and it also departs from previous CE’s in that it won’t have an art book, so it could simply be a shake up or a deliberate decision to focus on other games where things like sprays, emotes, card backs and mounts are easy ways to cross-promote your newest expansion. But you know I’m going to speculate about the timing. The expansion comes out in August … barely a week from this writing. And with gamescom this month and BlizzCon in November, a BlizzCon with as far as we know nothing new to announce — Battle for Azeroth will have just launched, neither Overwatch nor Heroes are likely to have major announcements aside from the usual new hero or map style news, perhaps some new lore, and Hearthstone may or may not have a new expansion announcement but they literally just announced The Boomsday Project so that seems unlikely — so that leaves new StarCraft news of some kind, a possible new IP, and Diablo. 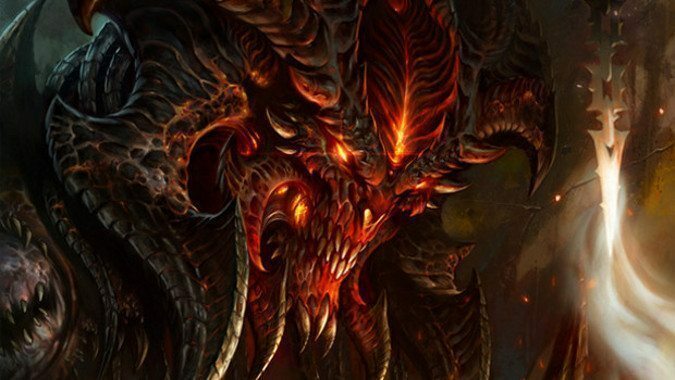 We have absolutely no reason to expect a new Diablo announcement save timing. There hasn’t been anything new for the property since the Necromancer pack, which was well received and popular, and we’ve been seeing hiring announcements pop up repeatedly since then. But there’s been absolutely no word from Blizzard on this score, not on any front — not on a Switch port, not on a mobile game, absolute silence on the subject of Diablo. With there being so little to anchor this year’s BlizzCon, it’s possible the show will be more of a celebration of what’s new than a look forward, but it still feels like now could be the time for a Diablo announcement. 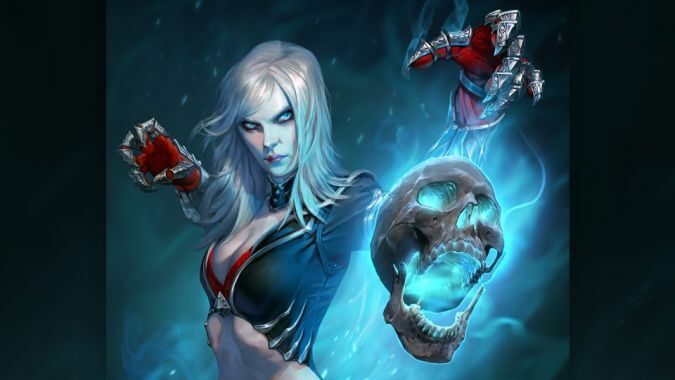 A new expansion to Diablo 3, or perhaps even Diablo 4 at long last. I mean, it’s been six years since the last game came out, we don’t actually have to wait as long for D4 as we did for D3, guys. But I am aware that my deep and abiding desire for more Diablo 3 may have me seeing things that just aren’t there. What we do know is this year, there’s no Diablo 3 goodies in the Battle for Azeroth Digital Deluxe or Collector’s Editions. What that means is as yet unknown, if it means anything.